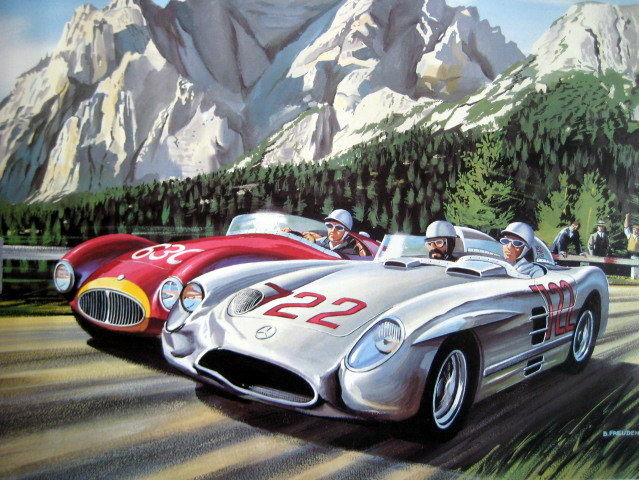 The "Mille Miglia" is the famest postwar race. 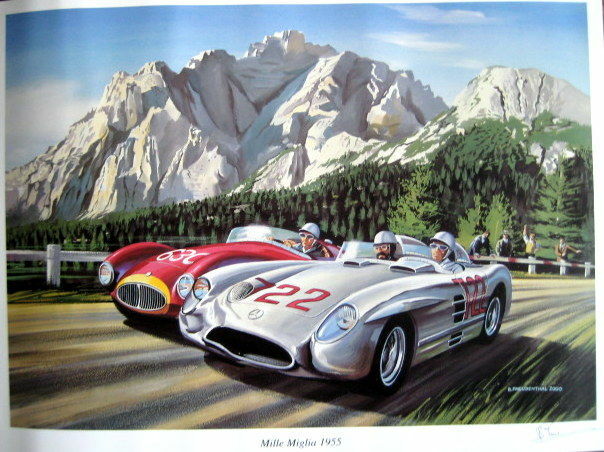 This scene show Stirling Moss and Denis Jenkinon's Mercedes 300 SLR who passes a Maserati A3G. 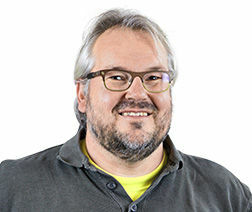 Pode levantar este lote em mão do vendedor: Holsloot (Drente), Holanda.